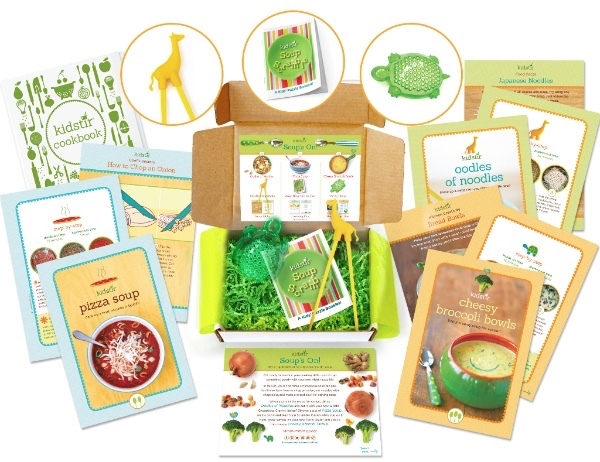 Soup-er Kitchen Fun for Kids! On a chilly winter day, nothing tastes better than a bowl of homemade soup. 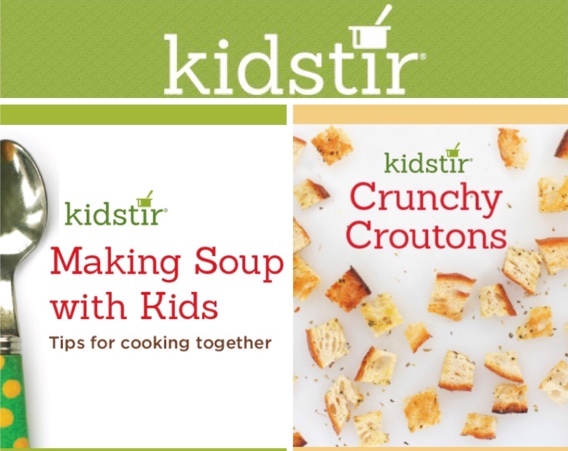 Teach your kids some soup-making skills with our tips. What a wonderful way to kick off a whole year of fun food adventures with your kids! Stock up for winter on broth for soup making. Look for broth that is lower in sodium and does not include MSG on the ingredient list. Cooking a good pot of soup can teach kids how to chop onions, crush garlic, and a lesson on seasoning with salt and pepper to taste. Got leftovers? Save them for soup! Before you toss those remains, consider cooking up a fresh, tasty pot of hot and satisfying soup. Have the Kids Friends Over for Soup! Your kids can help you choose a few different kinds of soup to make, add bread and salad, and enjoy sharing soup with their friends! What makes soup and salad even tastier? 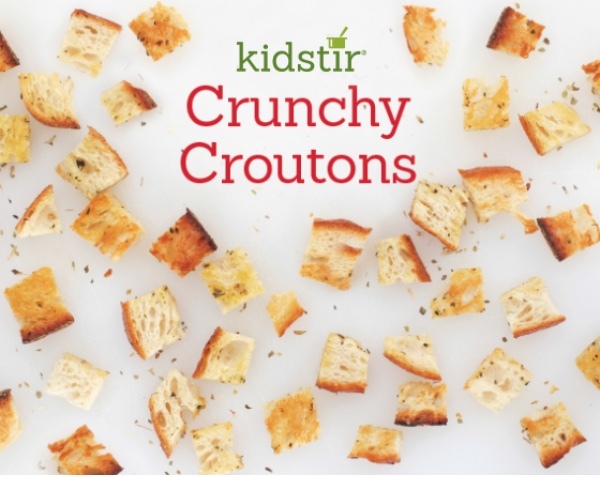 Homemade, wholesome, and crunchy croutons. Serve up on a chilly day and you’ve got the perfect mix of warmth and texture. Just 10 minutes of prep time and only 20 until their on your dinner salad – Yum! And they’ll pick up some great cooking skills, including: measuring, cubing bread, using a pastry brush and baking. We’re soup-er excited about our Soup’s On! kit. Your little chef can stir up our yummy homemade soups recipes that will warm tummies on these chilly days. Don’t miss this kit! It’s only available till January 20! Pssst…First time subscribers can get 30% off their first kit by entering promo code COZY30 at checkout. Next post: Soup Fun for Kids!